Perky Jerky Caffeinated Beef Jerky flavored with guarana is now available. 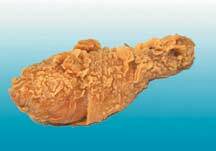 Get your fix with some protein and low carbs. 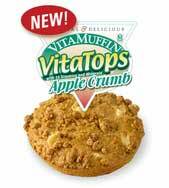 The Apple Crumb flavored Vitalicious Vitatops are now available. Check out our wide selection of healthy muffins at Linda’s Diet Delites! 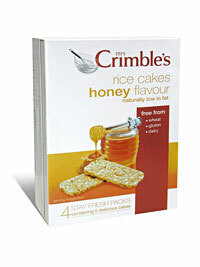 Mrs Crimble’s Gluten Free Rice Cakes are now available in both apple or honey flavor. Take a look at all of our gluten free snacks at Linda’s Diet Delites! Right Direction Fiber & Beyond Cookies are now available in both the heart health and digestive health versions. 5-6 grams of fiber per cookie and over 1.3g of plant sterols make for quite a healthy cookie. Dixie Diner Low Carb Breadcrumbs are now available in both plain and seasoned. Check out all of our great low carb breadcrumbs at Linda’s Diet Delites! 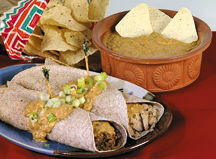 Dixie Diner Chili Con Queso Mix is now available. Perfect as a dip or sauce. 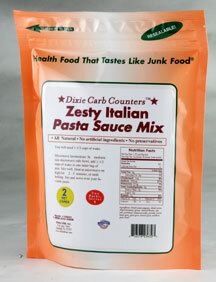 Be sure to take a look at all of our great low carb mixes and sauces at Linda’s Diet Delites! 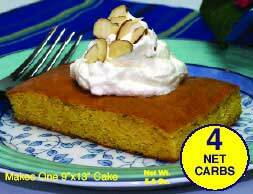 Low carb Dixie Diner Almond Cream Coffee Cake Mix is now available. Be sure to check out all of our great tasting low carb cake mixes at Linda’s Diet Delites!